When not marauding around as a right back for Chelsea, Jose Bosingwa likes nothing better than stealing a car, mowing down some foo’s, then wasting some pigs with his AK47 before finally cheating to get a tank and blowing everyone up. Or so I’ve heard. Being beaten 3-1 by your London rivals is rarely a good thing, but Salomon Kalou can console himself thanks to Perez Shilton with the knowledge that he sort of looks like Rawle D. Lewis, aka Junior in Cool Runnings. Notable scene; “Pride, power, a badass mother who don’t take no crap off of nobody” speech. Makes you want to go out and kick a bin over in rage, sending litter everywhere! Take that society! Then conscientiously pick up the bin and put all the litter back in it again. Today’s man-of-the-moment and mooted new Newcastle boss Alan Pardew sort of looks like a cross between legendary Blur frontman Damon Albarn and celebrity chef John Torode. This week; (sent in by ‘stevus’ via the comments) breakthrough Man City goalkeeper Joe Hart sort of looks like all round entertainer Russ Abbott. A much younger version apparently, but I couldn’t be bothered to find a picture of Russ from his youth. That’s the calibre of journalism this blog consistently delivers. 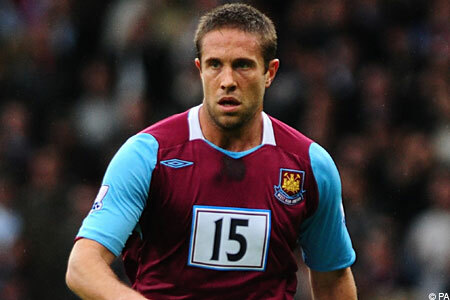 This week; West Ham centre back Matthew Upson sort of looks like indie surf musician Jack Johnson. 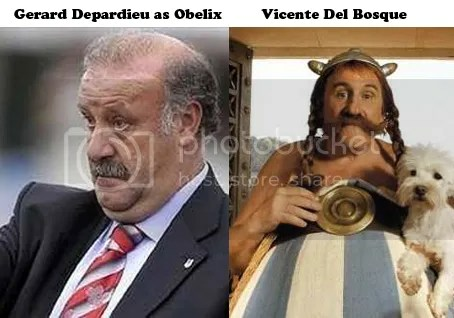 This time; World Cup winning Spain manager Vicente Del Bosque does indeed sort of look like Gerard Depardieu portrayal of cartoon gaul Asterix’s sidekick Obelix. 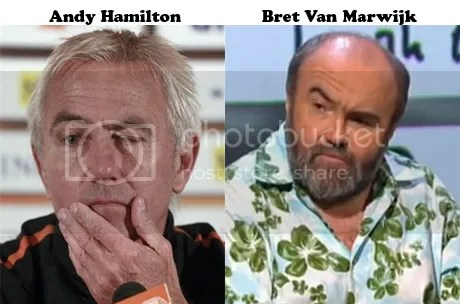 This time; Netherlands manager Bret Van Marwijk sort of looks like comedian and QI regular Andy Hamilton. But only in this one picture.